​Red Jasper shares all the aspects of Jasper, but has specific extra benefits. Red Jasper is used for help in protection from danger, EMF emissions, and other radiation sources. Red Jasper has very nurturing energy and can help with ancestral/inherited issues and help control one’s own passions. 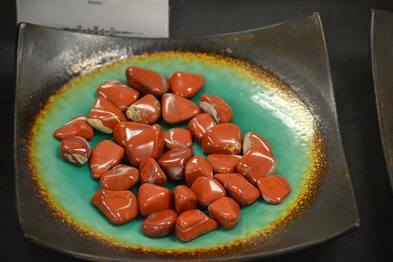 Red Jasper is also said to enhance responsibility, choice, and compassion.